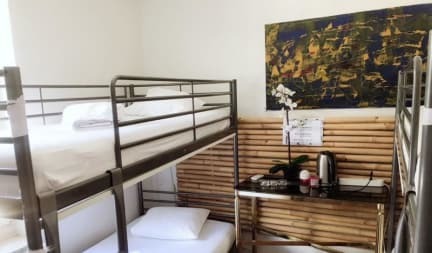 Lindas Beauty Hostel i Zurich, Schweiz: Bestill nå! - The property has no elevator. If you want a studio on a lower floor, please leave a comment in the Special Requests box during booking. Please inform Linda's Beauty Hostel in advance of your expected arrival time. You can use the Special Requests box when booking, or contact the property directly with the contact details provided in your confirmation. Please note that the check-in and key-collection take place at: Linda's Paradies Bar & Restraurant, Zähringerstrasse 12, 8001 Zürich. Our property Lindas Beauty Hostel offers the lowest fares, located in the heart of Zurich. With us you will have a unique experience you will never forget. You can use the washing machine and tumble-dryer in the common laundry room on the 5th floor at a surcharge. 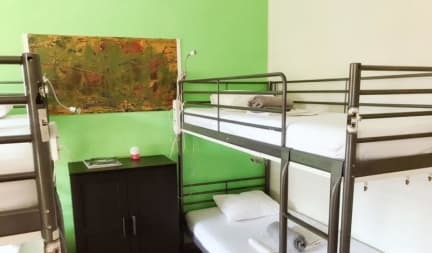 Located at the Central Square, Lindas Beauty Hostel is only 100 m from the Main Train Station and the Bahnhofstrasse, Zürich’s main downtown street and shopping avenue. The Central Library and the University of Zürich are less than 10 minutes’ walk away. Zurich is a great choice for travellers interested in old town exploring, shopping and walking. All our rooms include an en-suite bathroom with a shower, cooking facilities, a fridge, a microwave, a wardrobe, lockers and free Wi-Fi. Check out from 07:00 to 10:00 . Reception is open from 3pm to - midnight. The maximum period of stay is of 40 days.